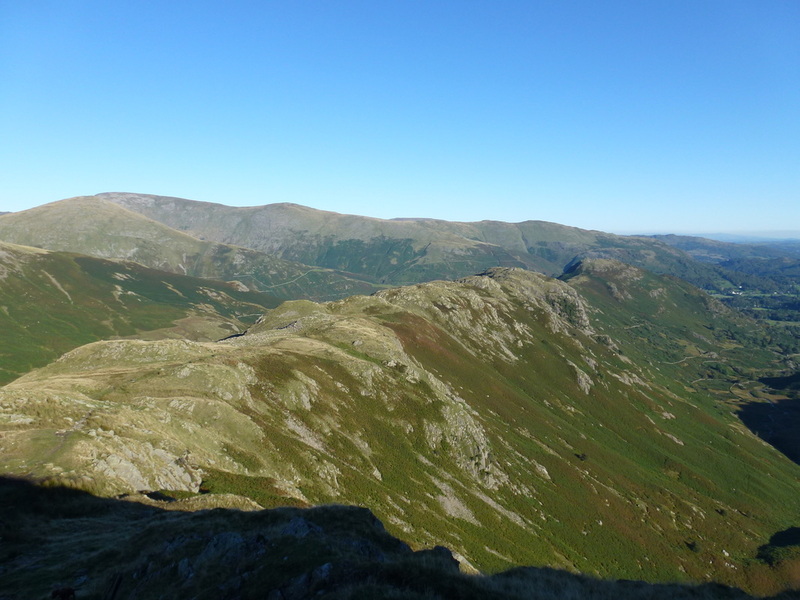 Another beautiful day in Lakeland therefore we decided to drive over to Grasmere to walk in the Central Fells. 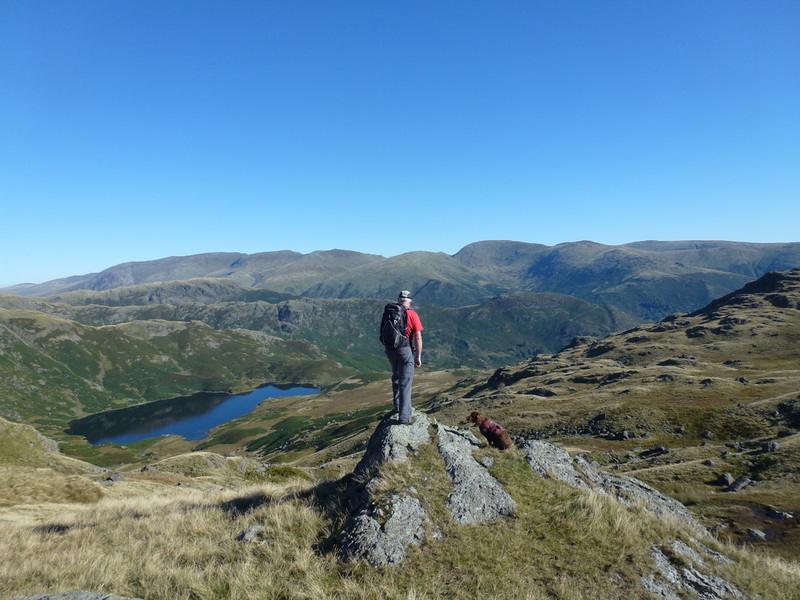 This would be a long day encompassing 7 Wainwrights and a tough out and back to Steel Fell but promised to be one of those walks to remember - it certainly was. 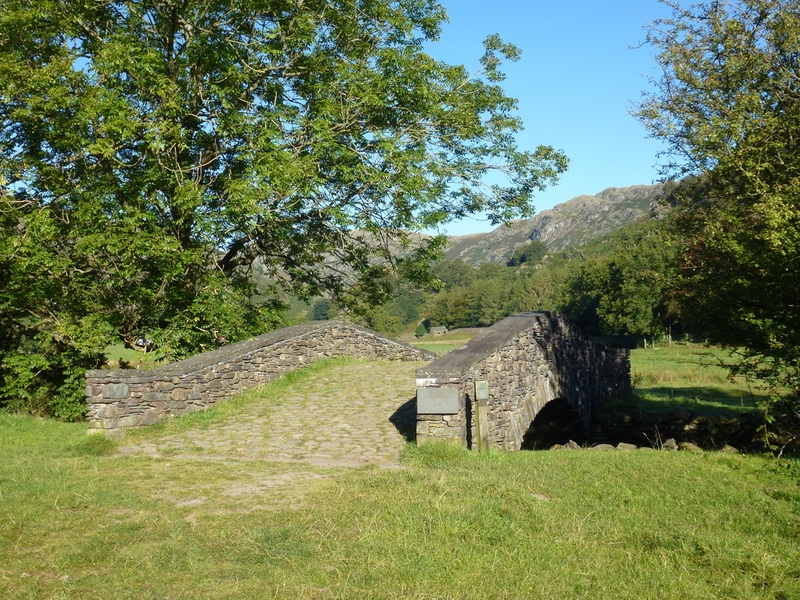 The walk started at The Travellers Rest pub on the A591 just outside Grasmere. 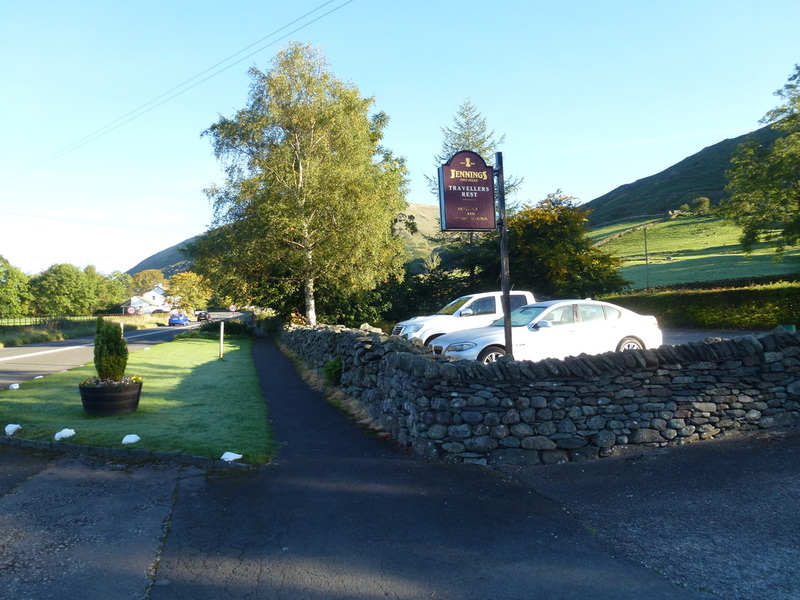 The pub allows walkers to park here but charge £5 for the day – redeemable at the bar on completion of your walk. 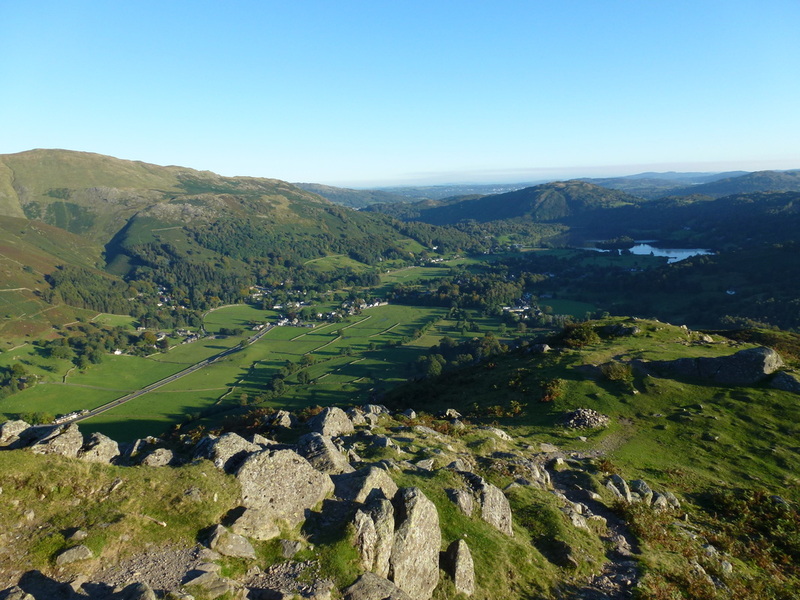 If this is not to your liking then you can either get fleeced in Grasmere or park on the verge of the A591. 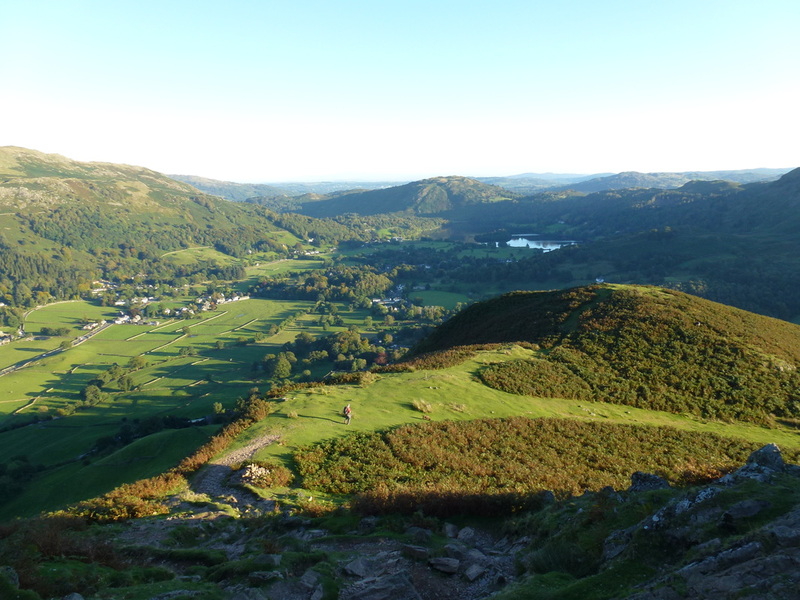 From the pub it was a simple stroll into Grasmere to pick up the road heading to Easedale. 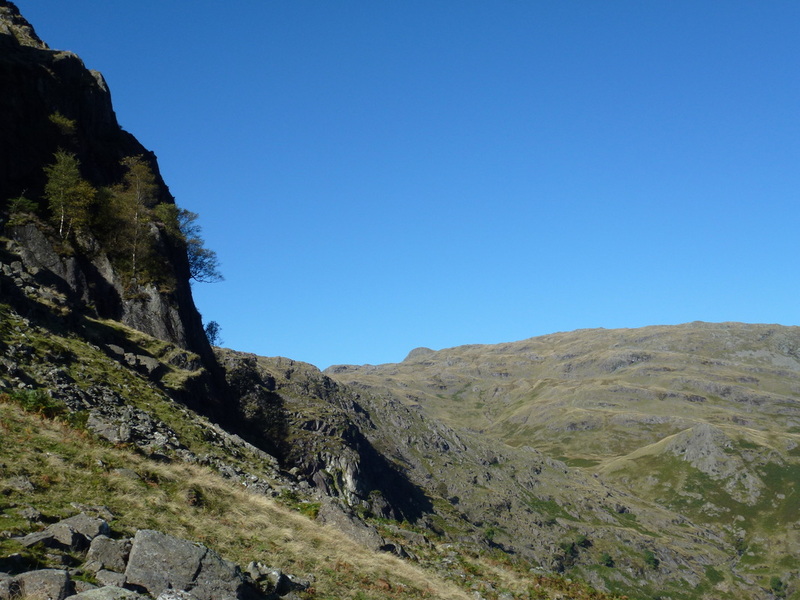 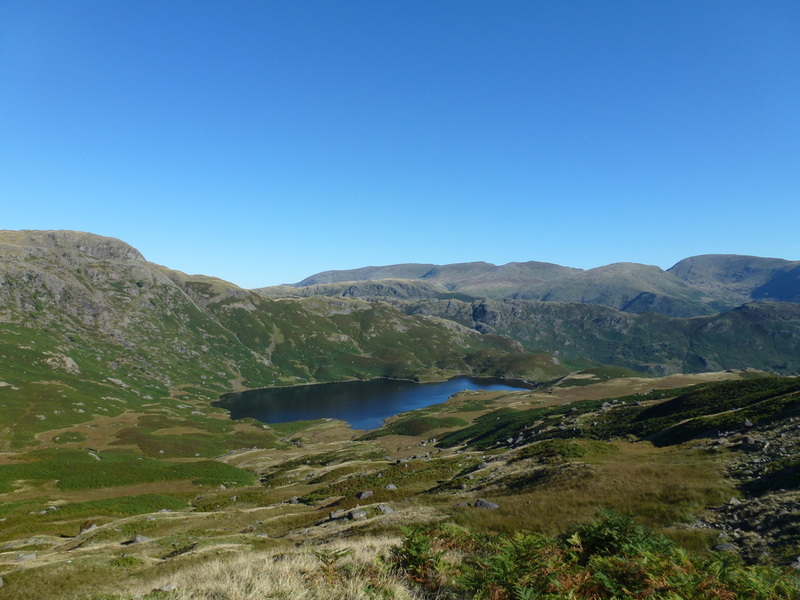 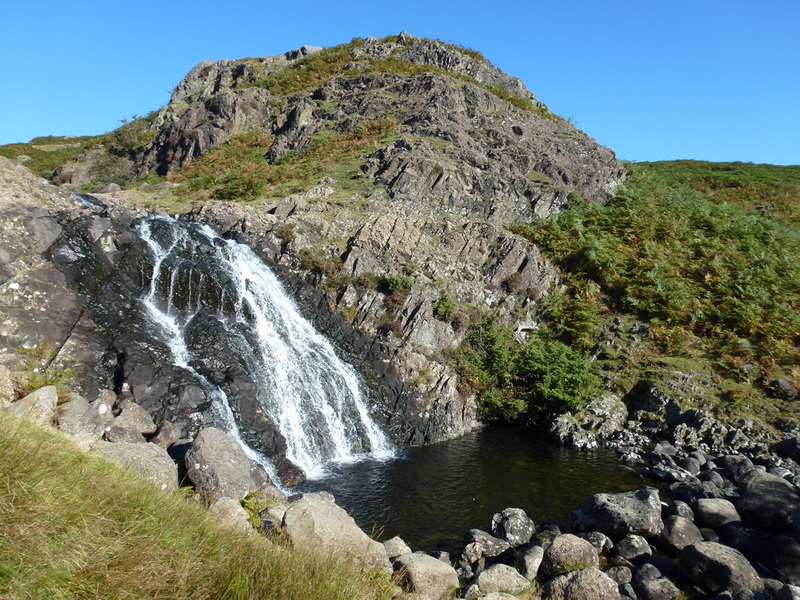 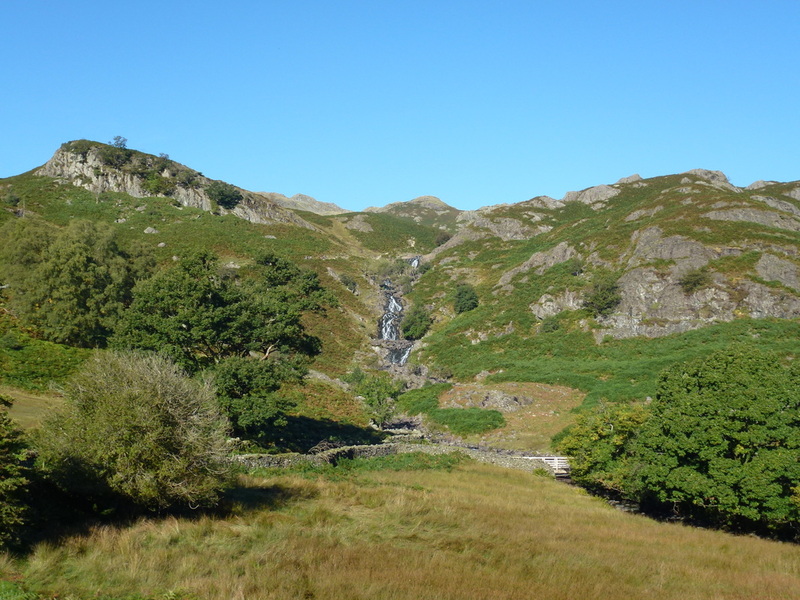 Once off the road the walk up to Easedale Tarn via Sour Milk Gill is a delight - a steady incline over farmland at first before the grassy path gives way to a stony ascent until the tarn is reached. 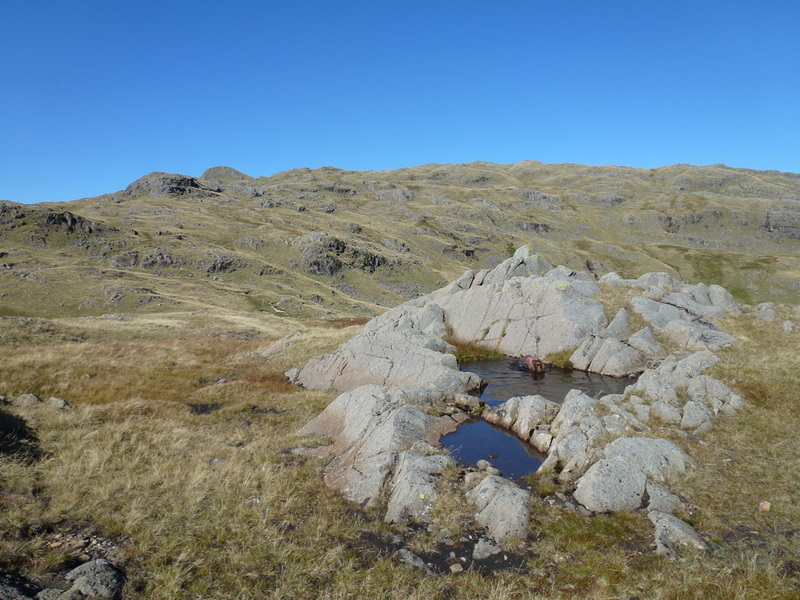 Easedale Tarn is a beautiful place and it is worth taking in its beauty and waiting a while before continuing on. 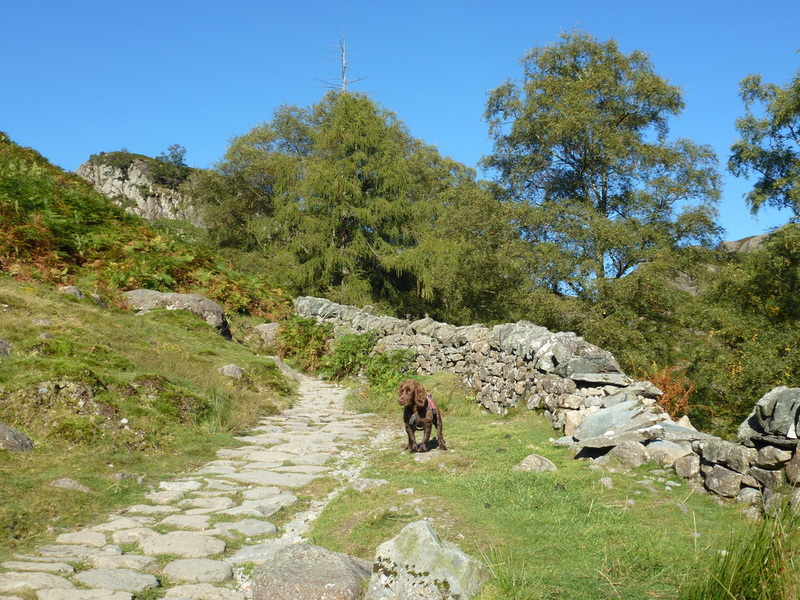 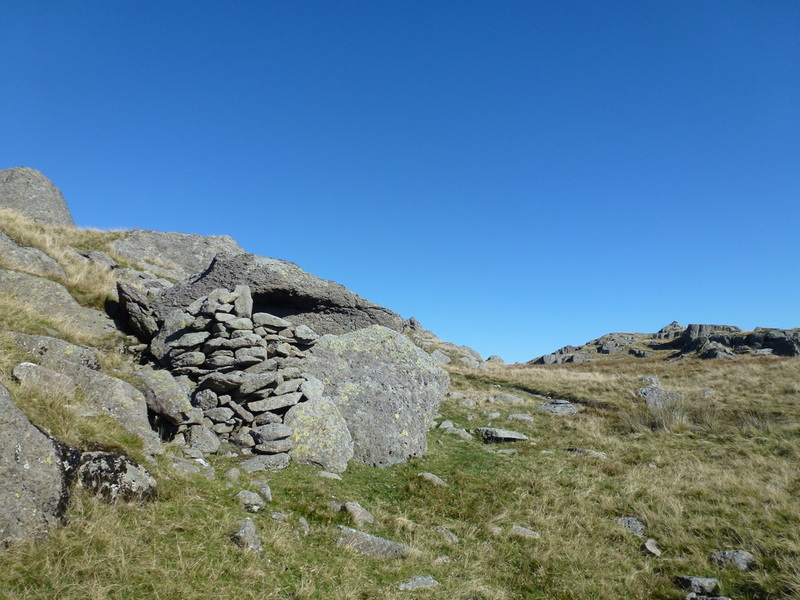 The route continued up above the shoreline before leaving the path at a small cairn that is easily missed. 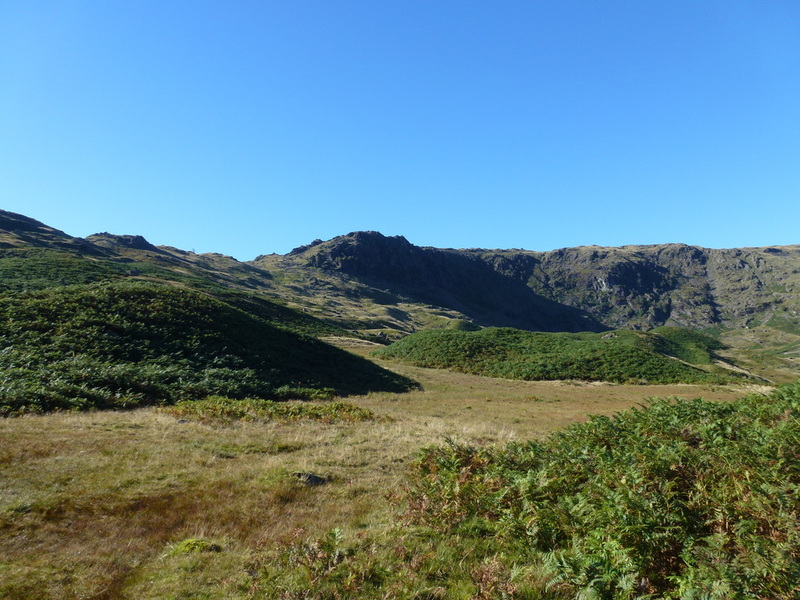 There then begins a gentle ascent through bracken before the gradient increases and the Blea Rigg ridge is reached - we took our time on this path as we kept having to look back to gaze out at the wonderful vistas that were unfolding as we gained height. 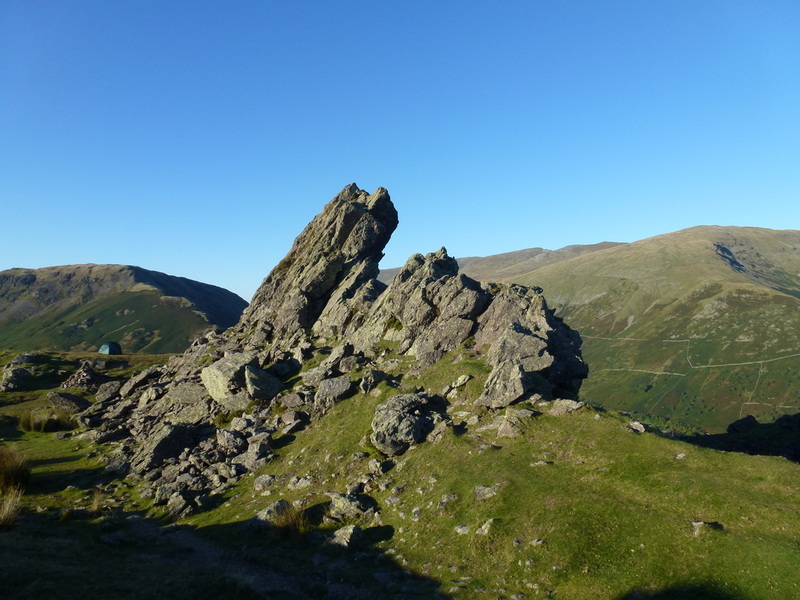 From the perched boulder it was a simple matter of heading up a steady incline to gain the summit - a jumble of boulders and rocks which necessitated a discussion as to which was the summit. 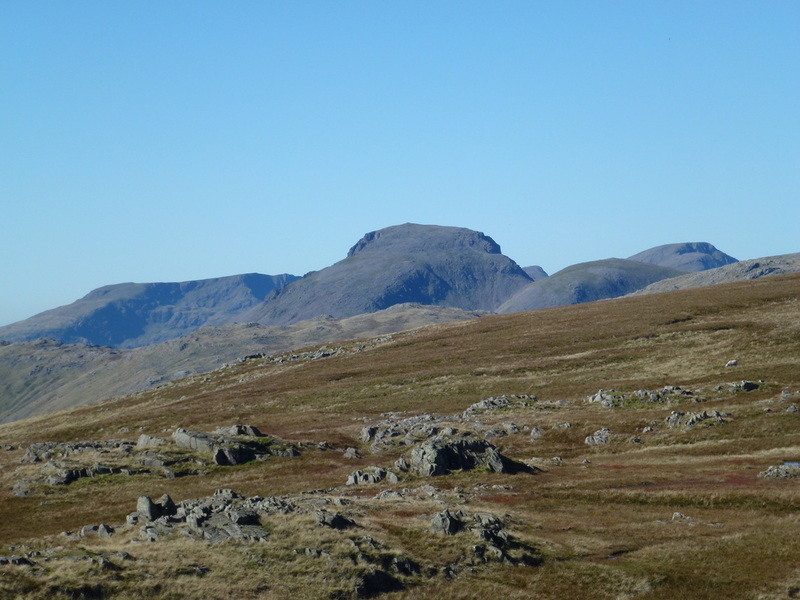 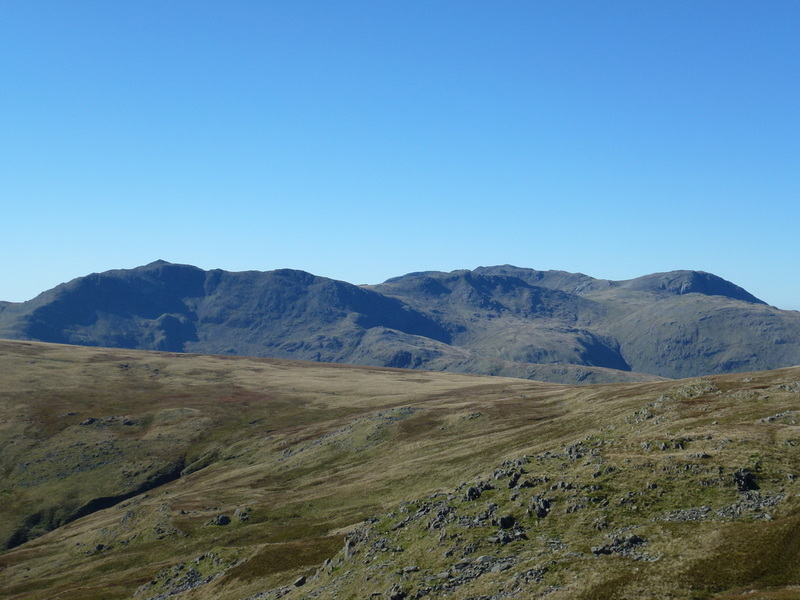 From Blea Rigg we could easily see our next summit of Sergeant Man and the route over gave us more great views over to the Langdale Pikes, Bowfell and back to Helvellyn. 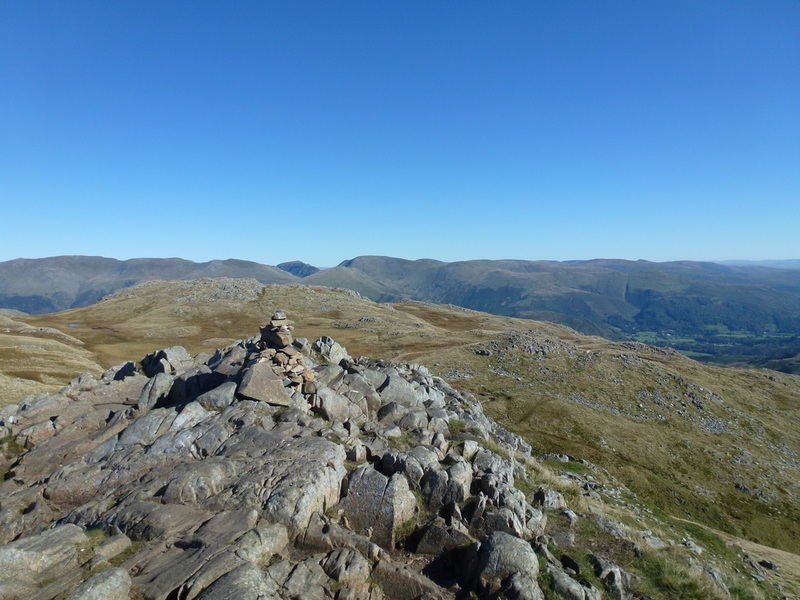 Despite the excellent weather there were not that many people out today therefore we hung around each summit and sucked in the views - there were plenty of them today. 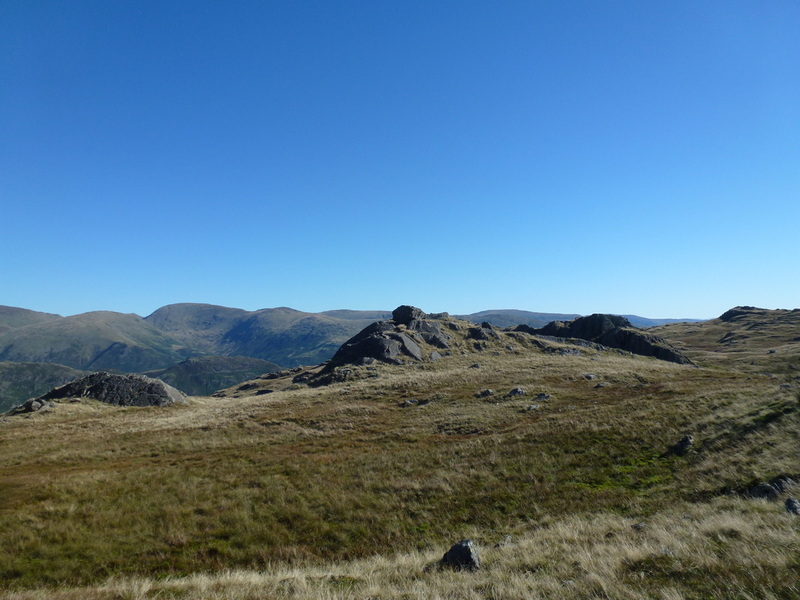 Suitably lunched we then headed over to High Raise where the view over towards Glaramara, Bowfell, Great Gable and The Scafells was simply breathtaking. 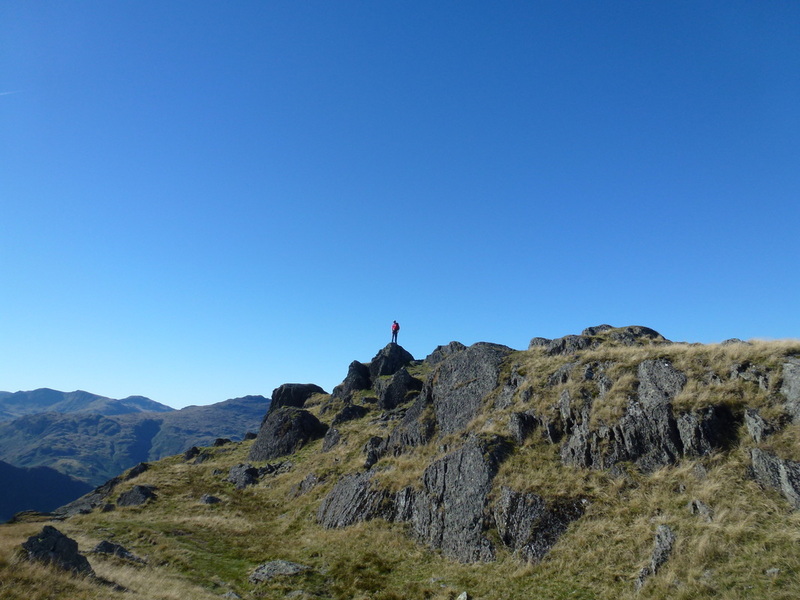 Tearing ourselves away from the summit, we made our way over to Low White Stones and on down to Greenup Edge where we joined the Coast to Coast path coming up from Borrowdale. 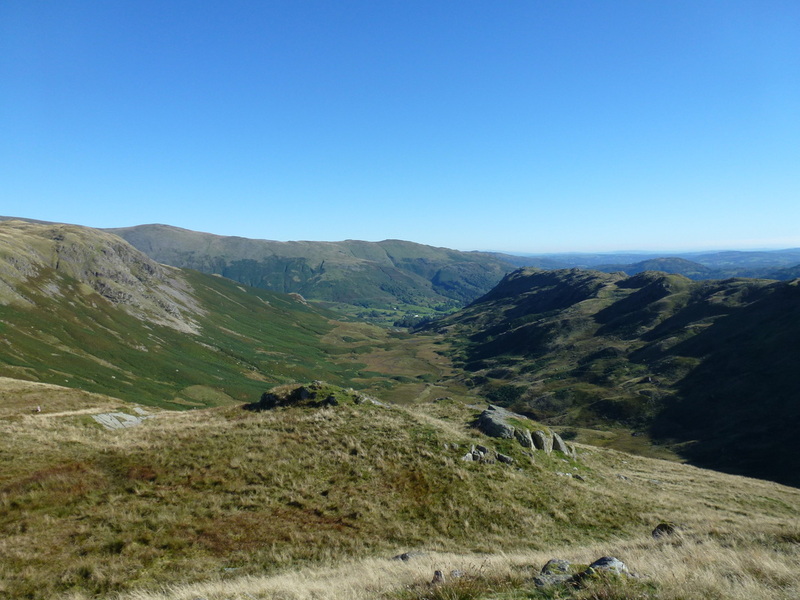 From Greenup Edge there is a good path over to Brownrigg Moss and this is where the fun began. 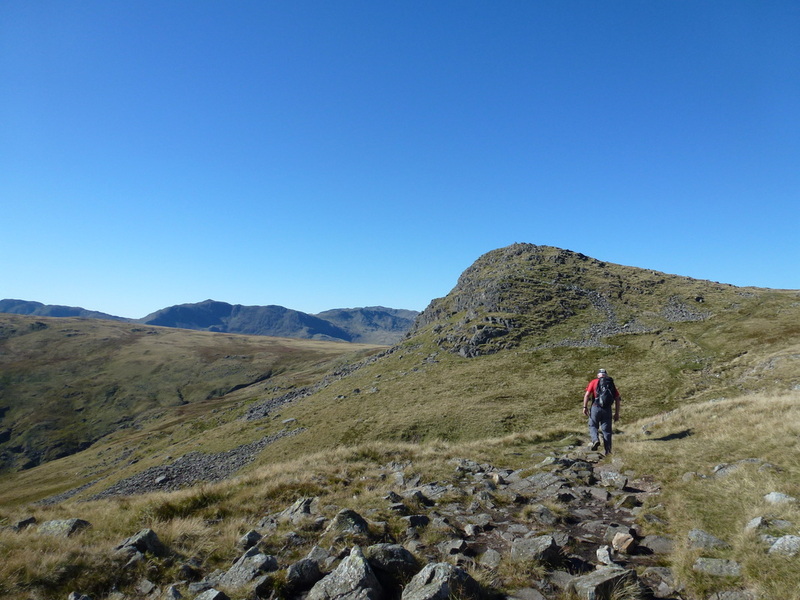 The route over to Steel Fell passes through Brownrigg Moss and unfortunately the bogginess continued for quite a while - almost to the summit itself. 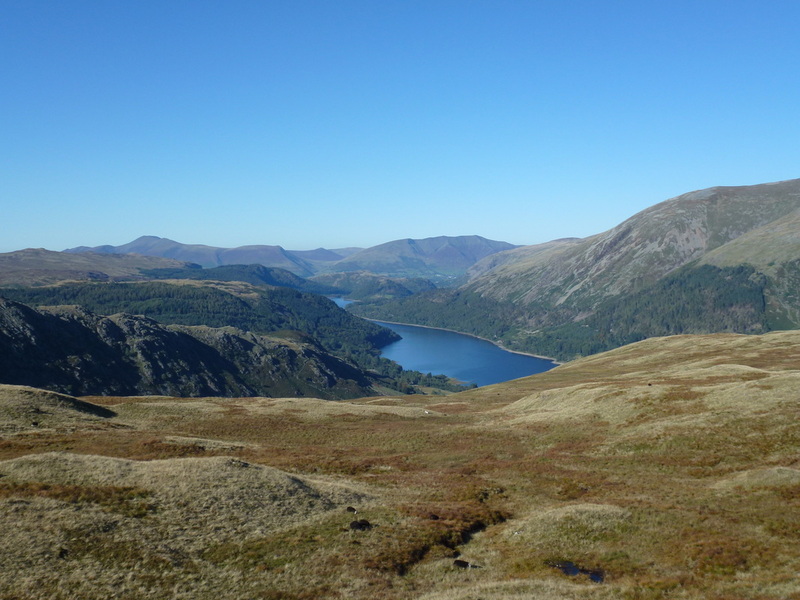 As this was an out and back we unfortunately had to endure the bog on the way back - no matter, the views down Thirlmere from the summit more than made up for soggy boots. 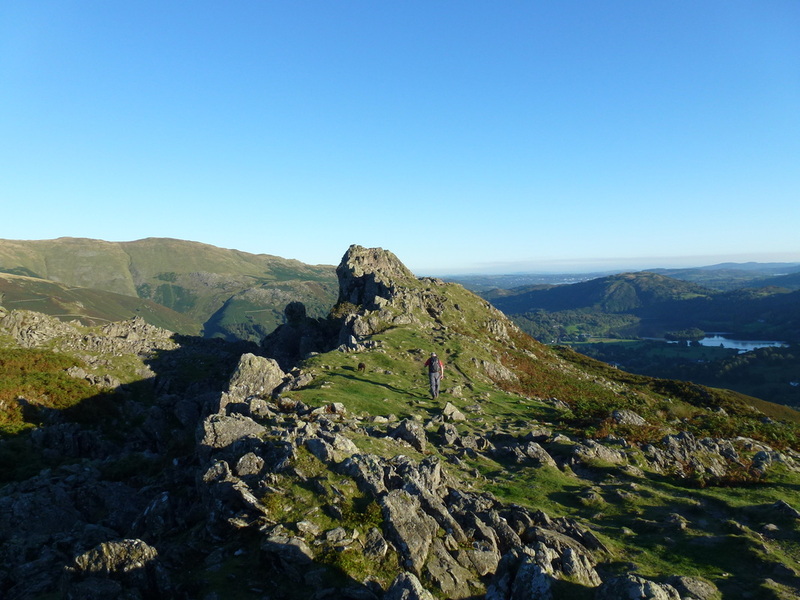 Calf Crag was next and from the summit the remainder of the route is along a super ridge walk that took us over Gibson Knott and on to our final top of Helm Crag to see The Howitzer and The Lion & the Lamb. 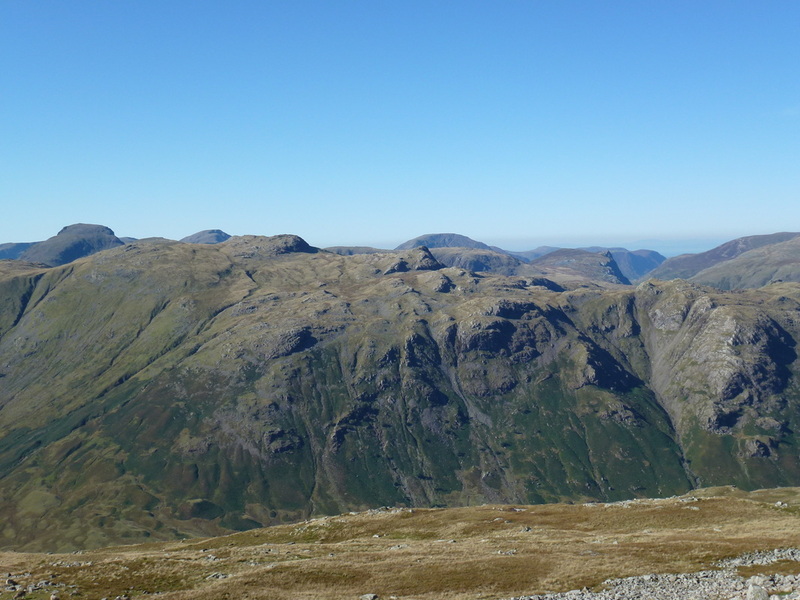 Again the views and visibility were constant and jaw droppingly beautiful. 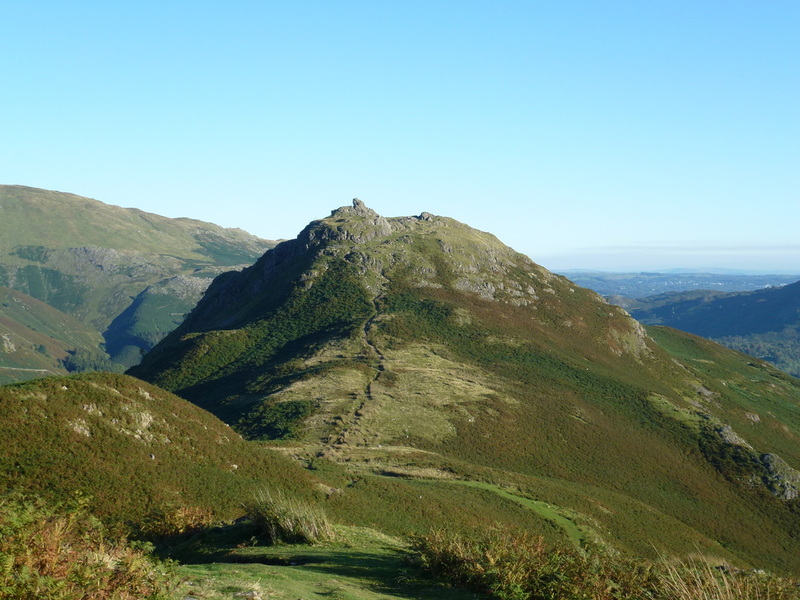 There now remained a steep descent from Helm Crag before a flat walk into Grasmere to finally reach the sanctuary of the Travellers Rest. 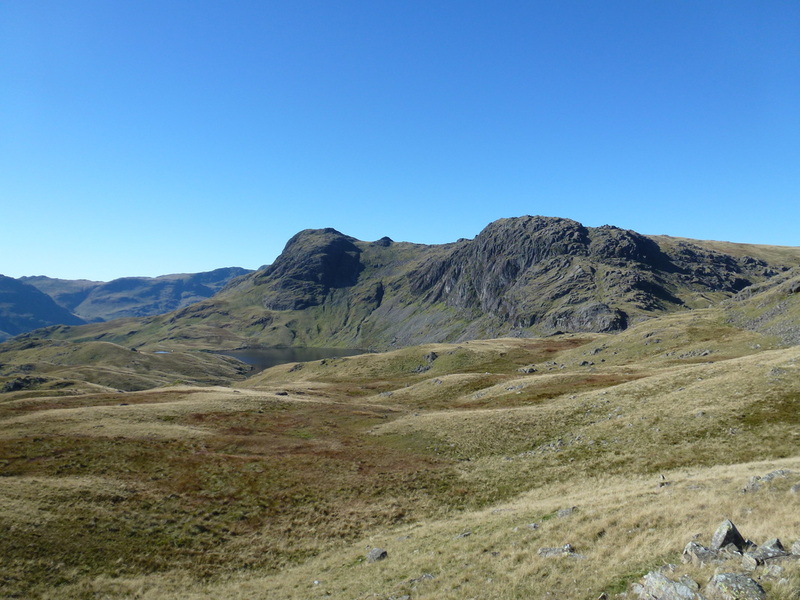 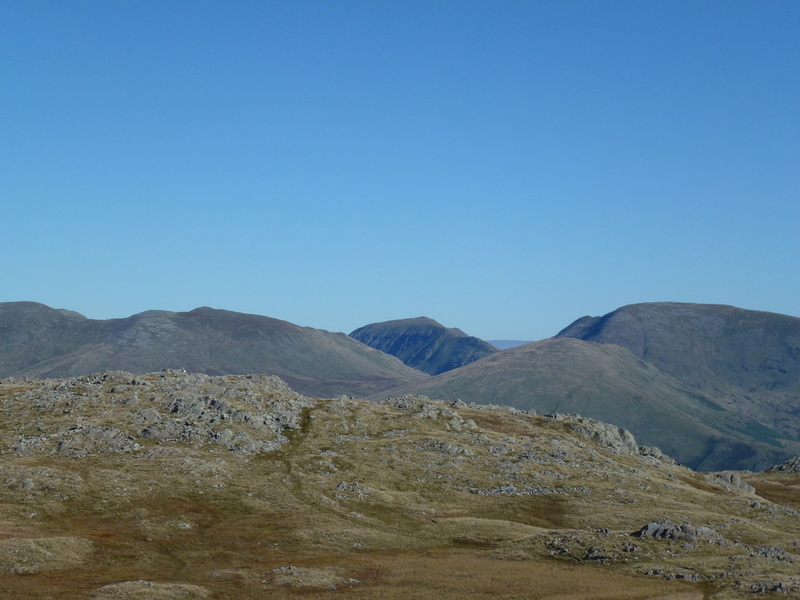 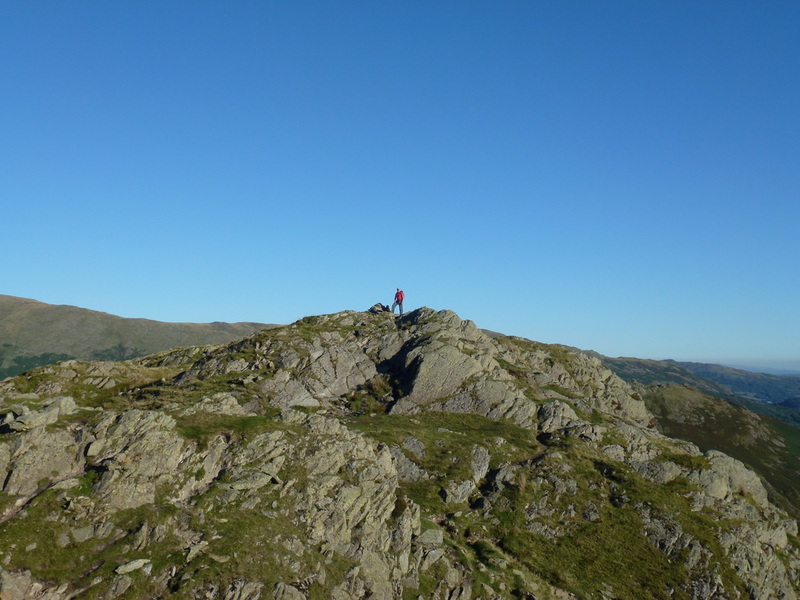 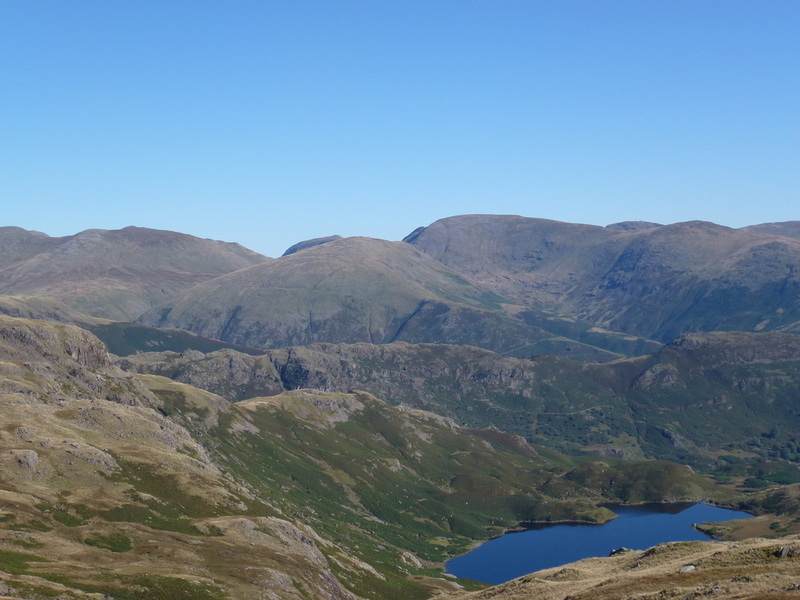 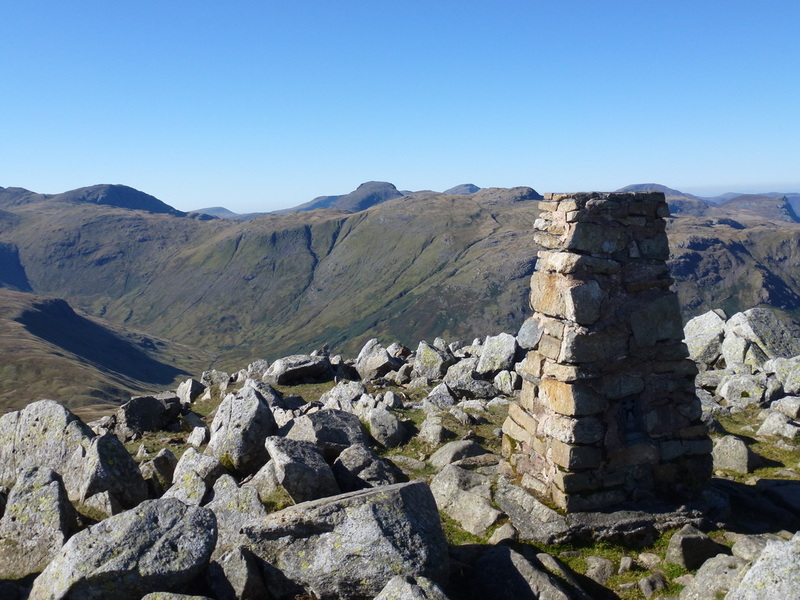 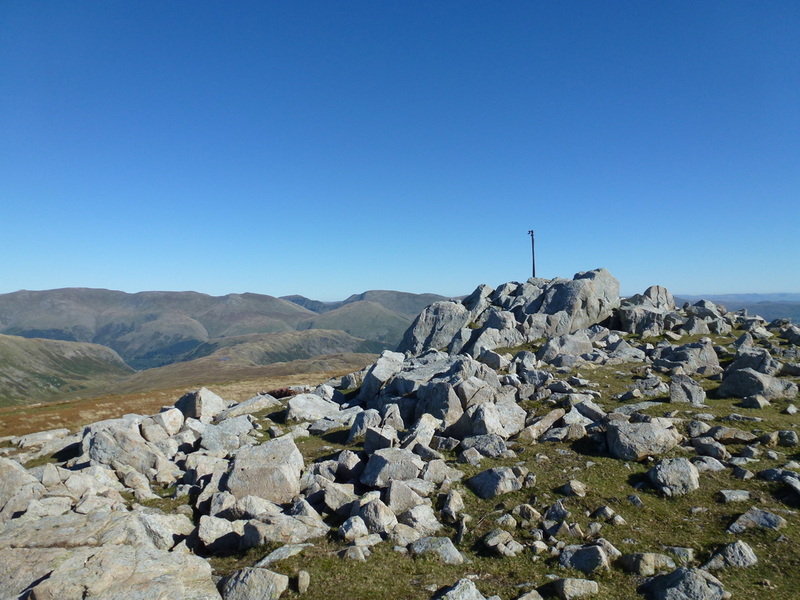 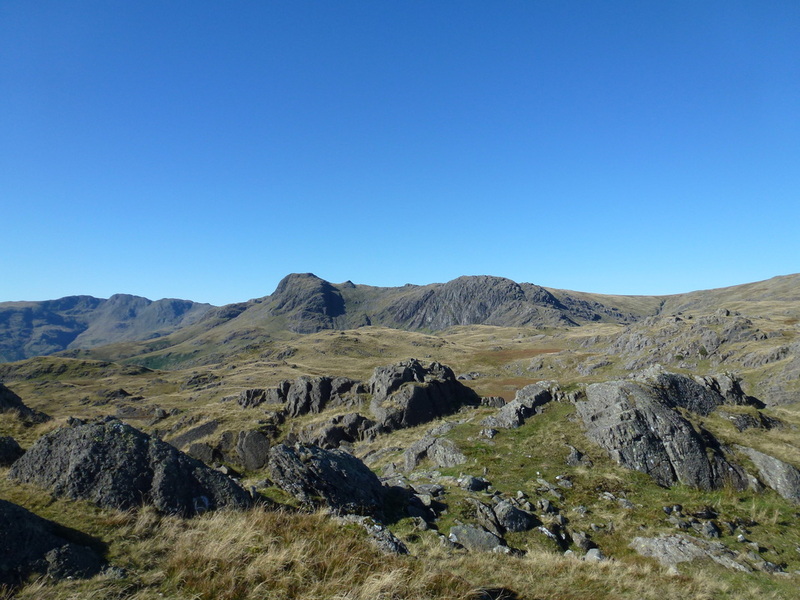 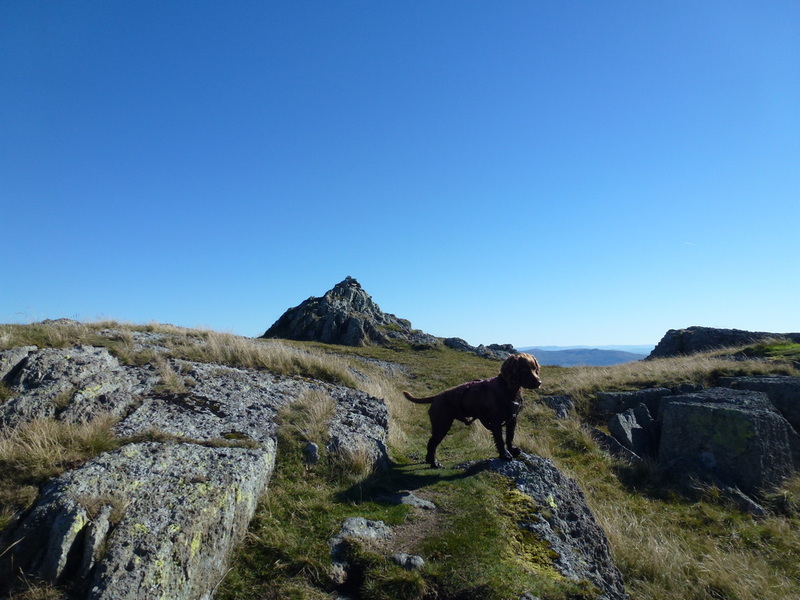 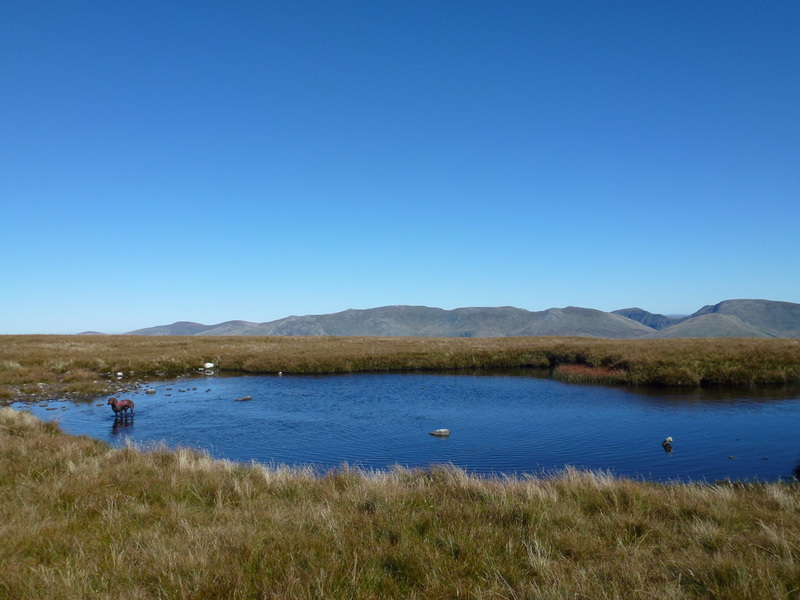 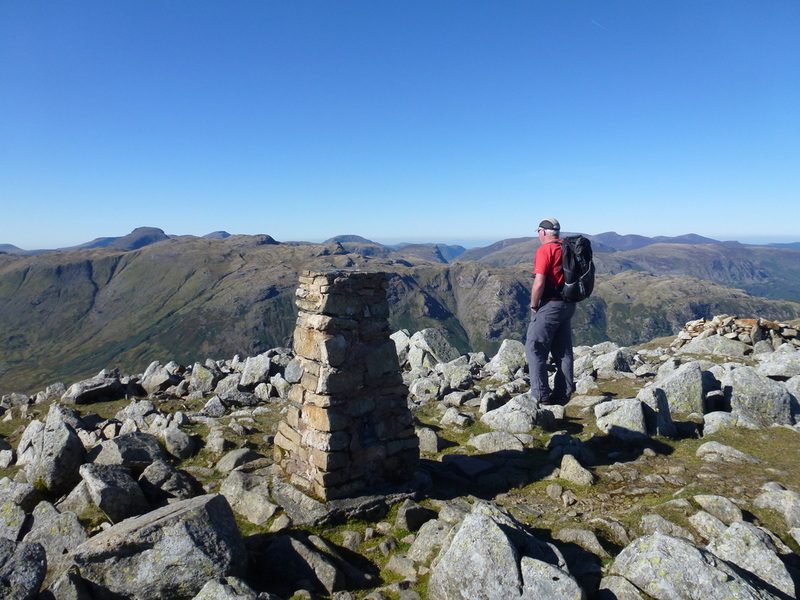 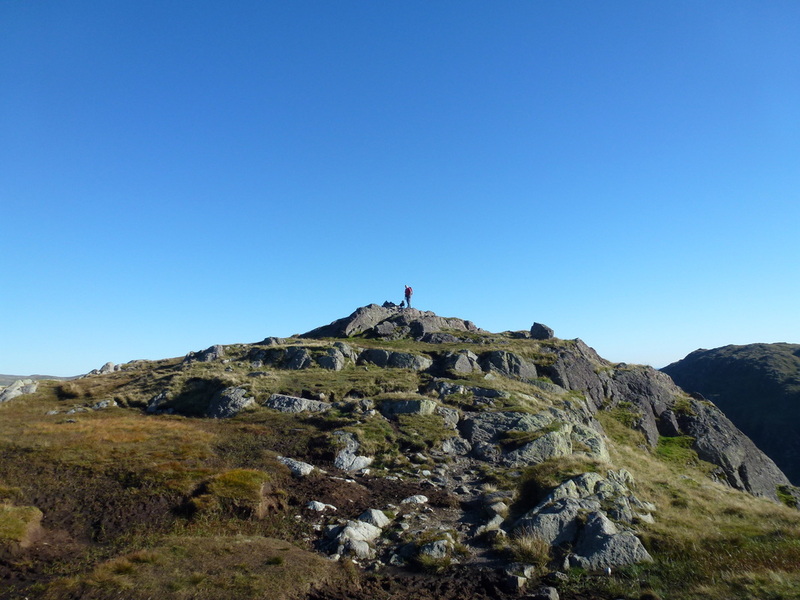 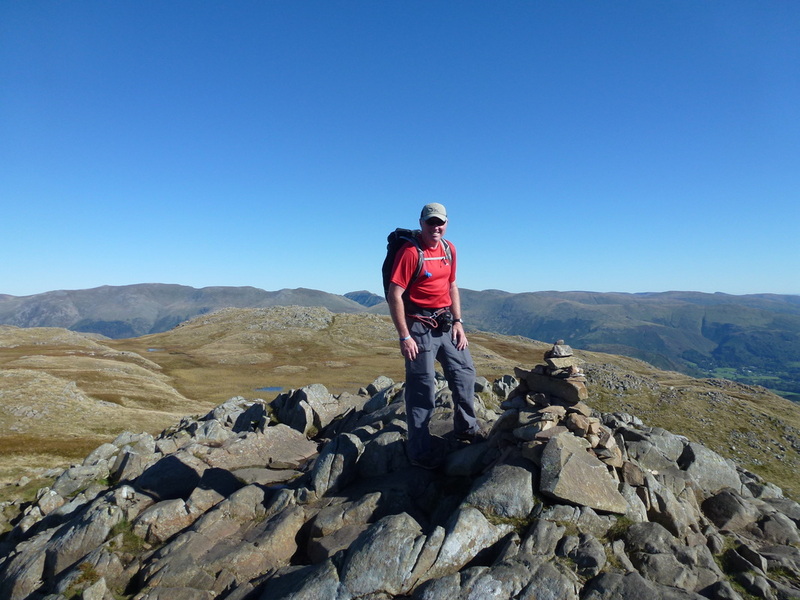 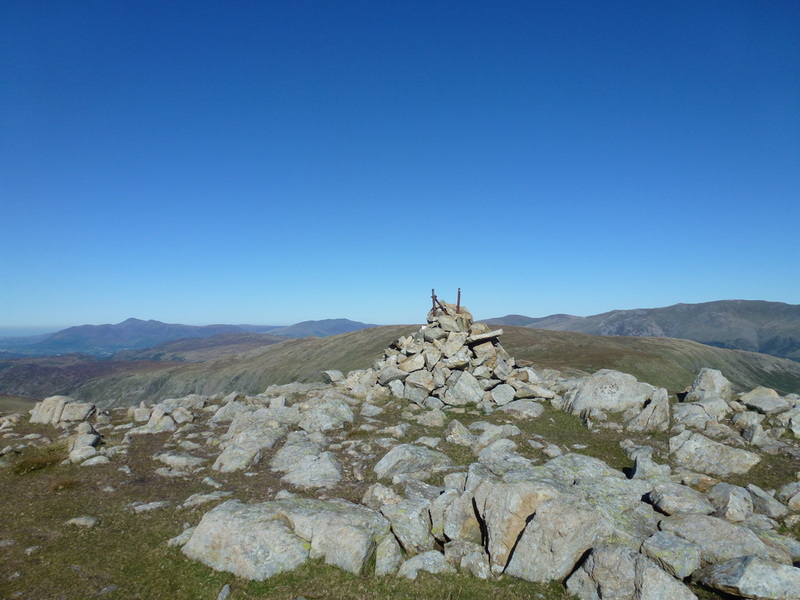 This is one those walks that should be completed on a day like today - great visibility and weather as the views from each summit just knock your socks off. 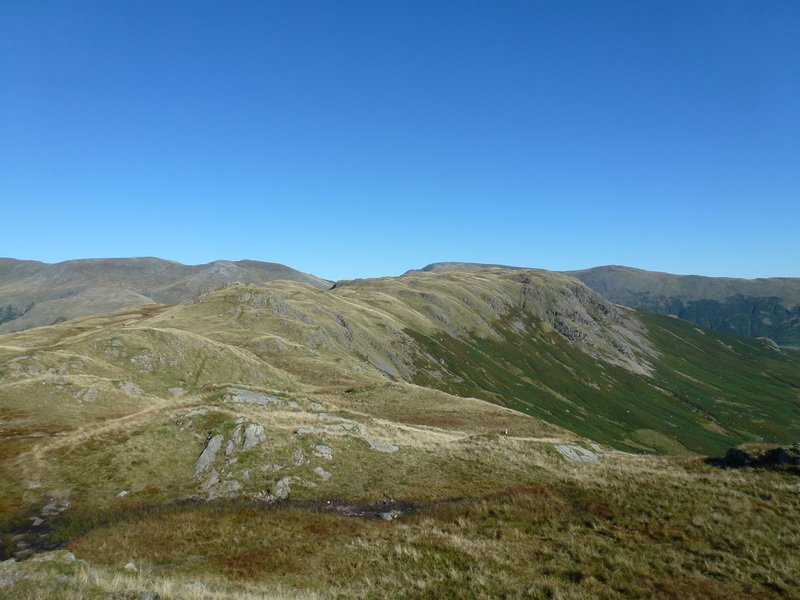 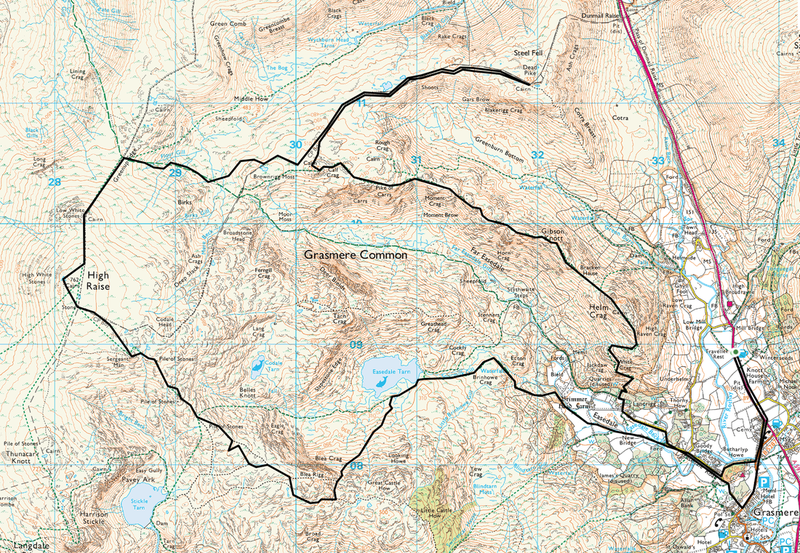 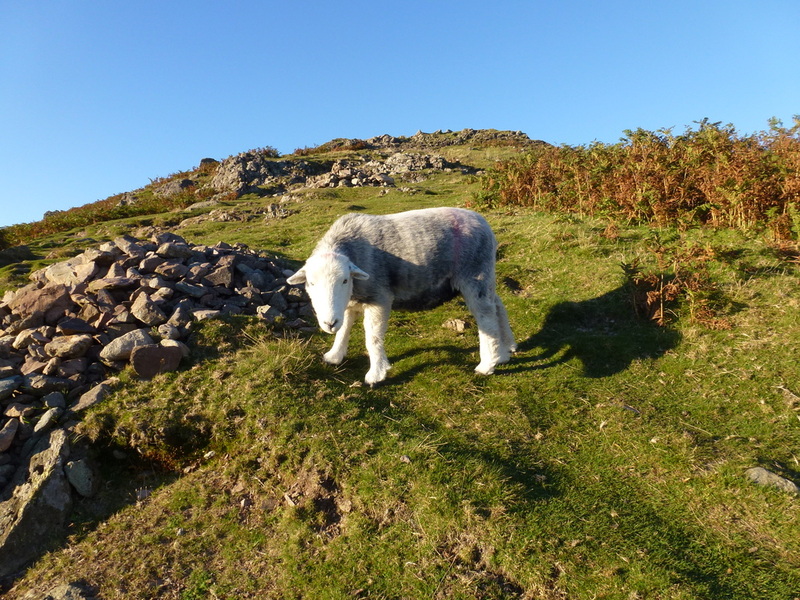 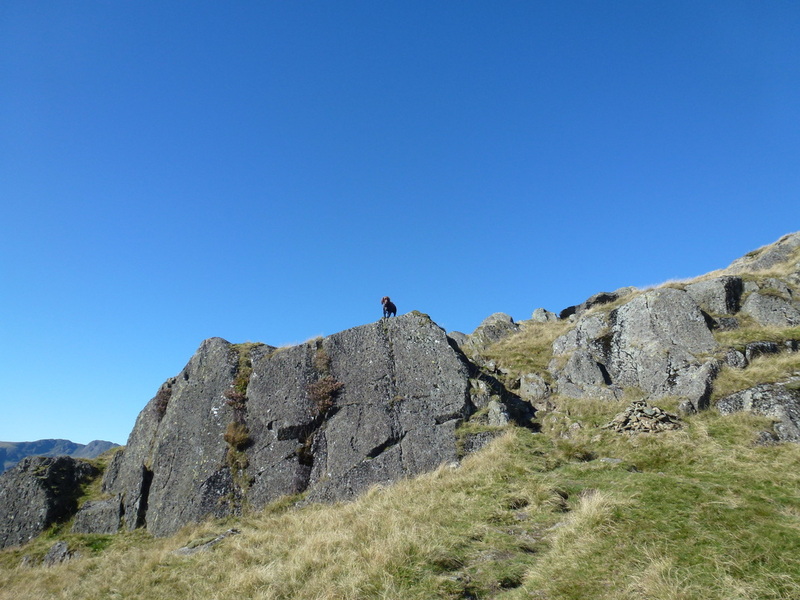 Whilst we have been in and around these fells many times they are fantastic to visit over and over again. 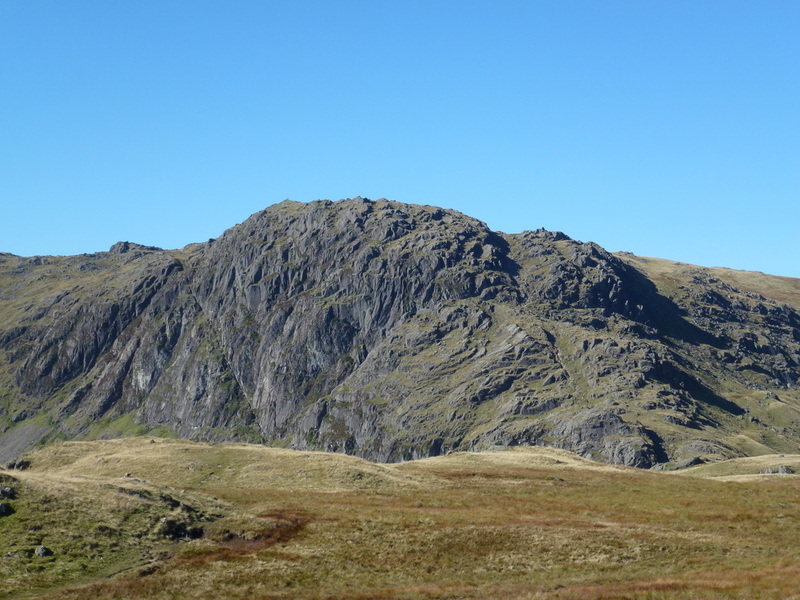 Pavey Ark - Jack's Rake can clearly be seen to the left, arrowing from right to left. 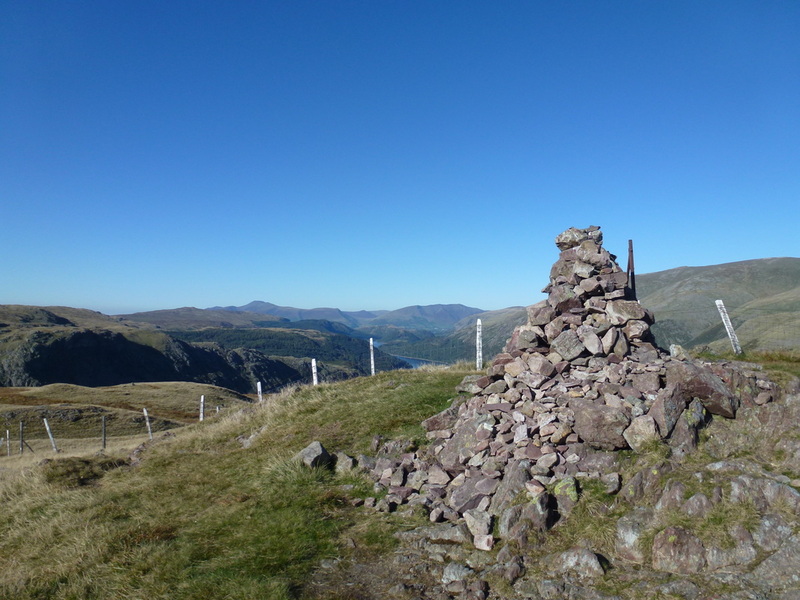 The summit of Low White Stones looking to Skiddaw & Blencathra. 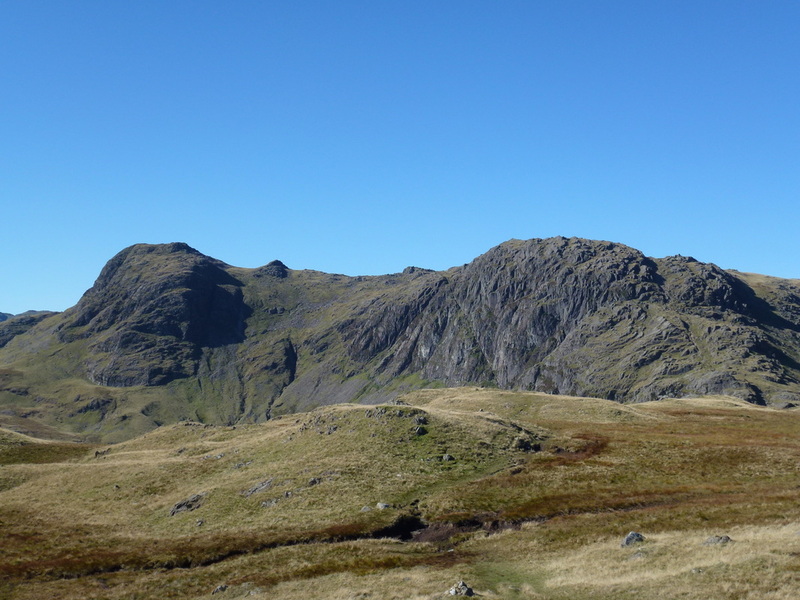 The Dodds are to the right.